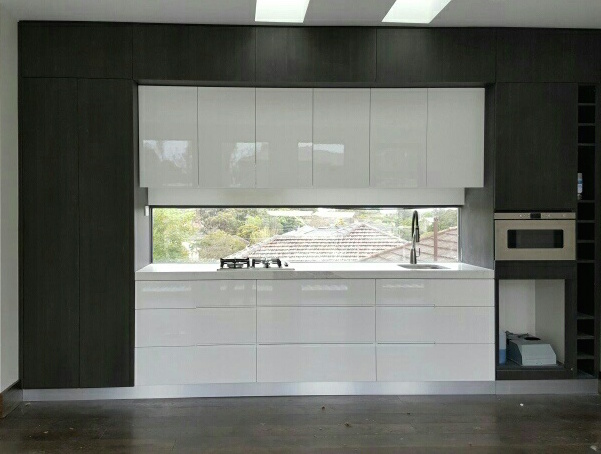 This new development in the leafy Melbourne suburb of Ashwood had a modern contemporary design brief. 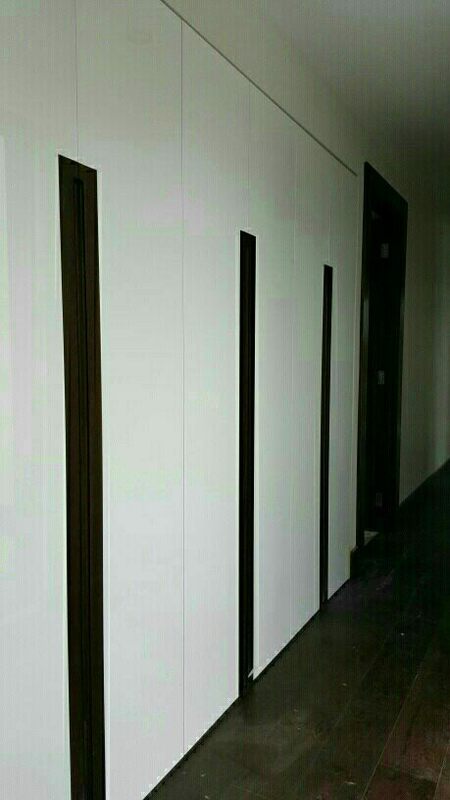 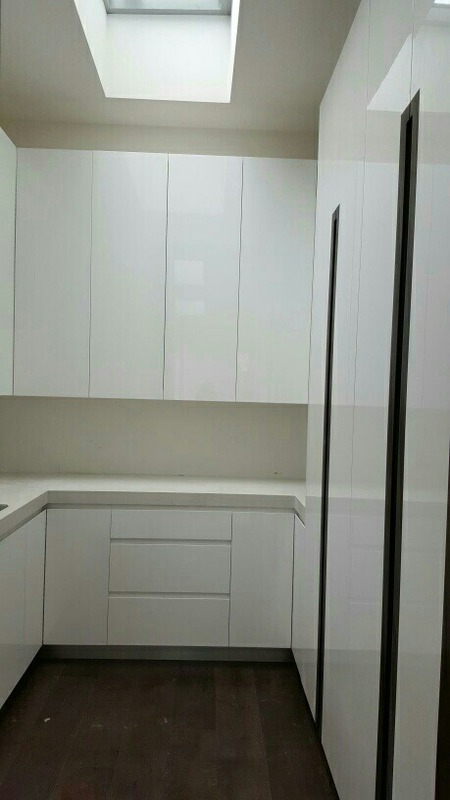 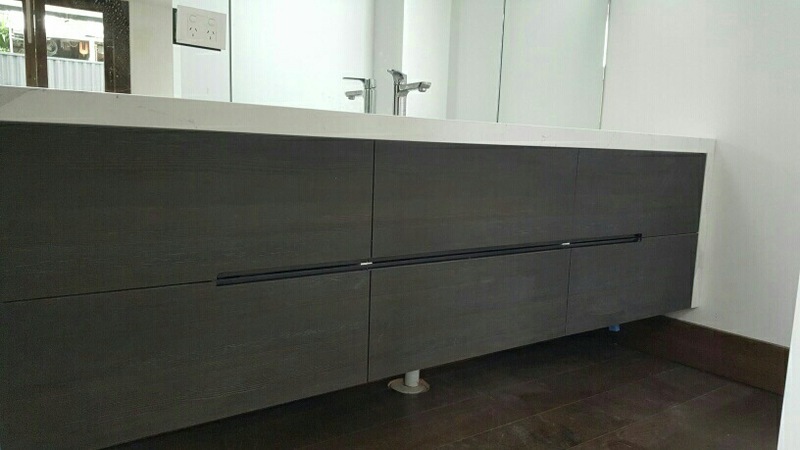 The client wanted to combine white high gloss cabinetry with touches of dark wood veneer to complement the timber flooring. 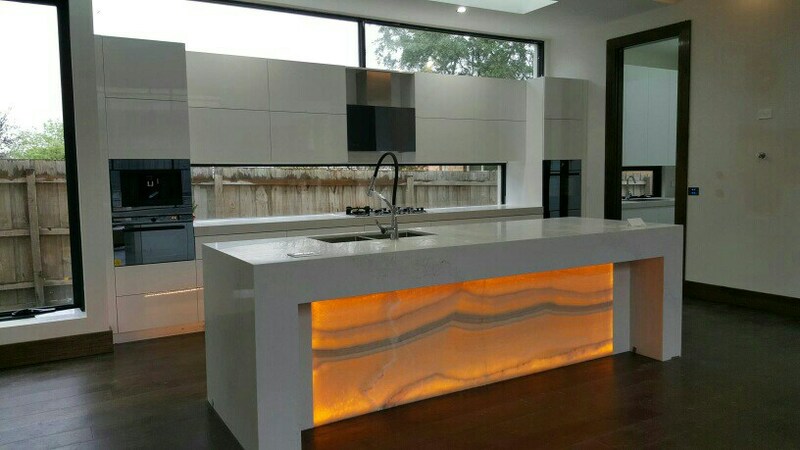 The statement island bench complete with Onyx feature and lighting, make the kitchen the jewel of the home, together with the extra natural light provided from the window spashback. 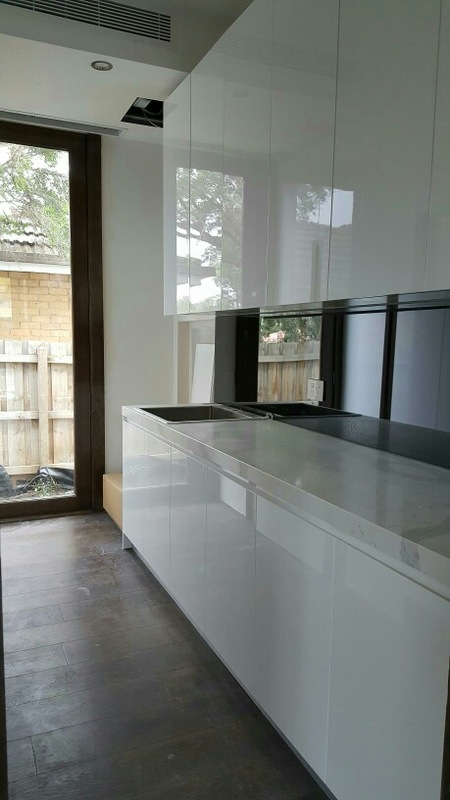 This project also included an updaters kitchenette, which is both practical and worked well with the overall layout of the upstairs living area.